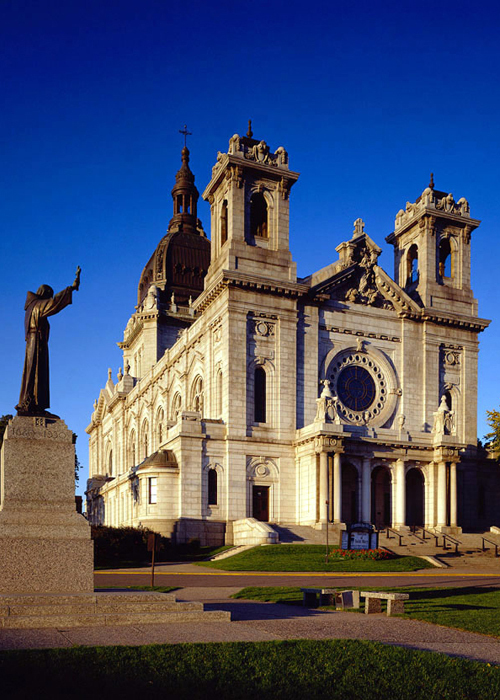 Designed by French architect Emmanuel Masqueray and built in 1914, the Basilica of St. Mary is recognized as one of the finest examples of Beaux Arts architecture in the country. 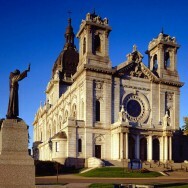 It was the first basilica in the United States and has been named to the National Register of Historic Places. MBJ has worked with the Basilica Parish since 1964 providing services for projects involving the school, bell tower, dome, rectory, and undercroft. The most recent rehabilitation project began in 1993. Phase I included structural repairs to the building and re-roofing. Phase II, completed in 2001, involved the development of the Basilica’s long neglected undercroft, the addition of an elevator, and relocation of the Mary chapel. In addition to receiving a LEED Gold rating from the U.S. Green Building Council, the project received a Minneapolis Heritage Preservation Award in 2001.